Do you guys remember when I was inspired by Ann Loveless (art quilter)? It was really fun to try something completely different. Ann is writing a book about this method, so I think it would be wrong of me to do a full tutorial. 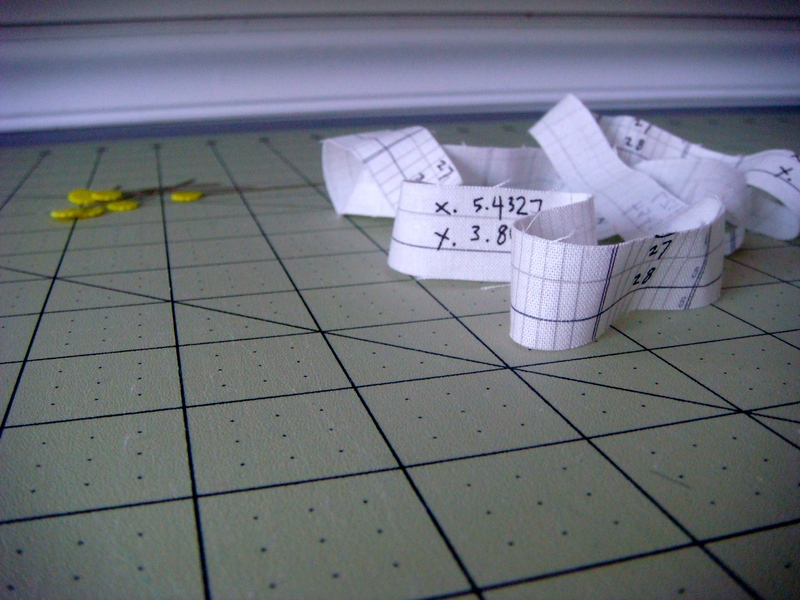 But in short, you rough cut 1/2 inch squares and use interfacing to attach them to muslin. Then use more interfacing to attach the focal point (in this case, a fussy cut butterfly) and stitch over everything in the design of your choice. I’ll let you guys know when the book comes out! This is the perfect use for those pretty strings that are maybe just a little too skinny for their own good. This is definitely something I’ll be trying again, perhaps with Anne and Adrianne’s Radiant Orchid challenge in mind. Linking up my first art quilt with Crazy Mom! This entry was posted in Uncategorized and tagged Ann Loveless, art quilts, Finished Quilts. Bookmark the permalink. How big is it? Looks like tiny to me 🙂 Definitely something I haven’t tried yet. You had me at butterfly, here. The two black print lines on the left really give some lovely dimension to the whole thing. Thanks for the tutorial link – it’s nice to know that there are options for fixing those seams other than tearing the whole thing out and resewing. I never would have thought of interfacing. It looks great, my heart yearns for the butterfly – set it free! 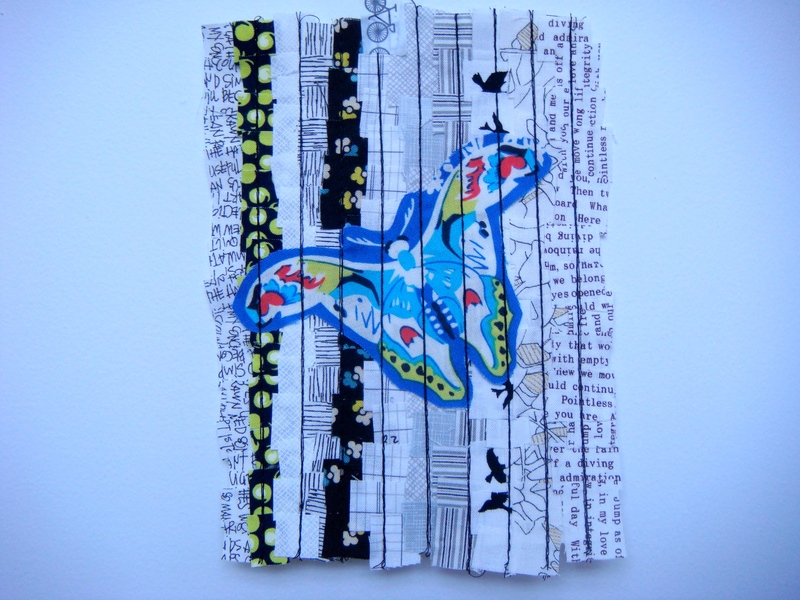 I love that you are dipping your toes into the art quilt world. Keep us posted about that book! And also, thanks for the link to that tutorial. It will definitely come in handy! really pretty. Definitely let us know about the book – I love trying new things. I’m headed to check out that tutorial RIGHT NOW. It sounds too good to be true. Your art quilt is pretty fantastic, too! Do you stitch all over your design before or after making the batting sandwich? Or maybe both? Very cool….thank you for sharing this! Maybe an art quilt is in my future?! Love this! The texture of the layers of fabric is so great. I love the sketch lines. Fabulous job, Sarah! I’m excited about the radiant orchid challenge too. I can’t wait to see what everyone comes up with. Definitely a great use for those skinny strips! I remember that art quilt post; her entry was awesome. I hope her book has some easy basics to try because I know I could never work in the magnitude of Ann’s talent! But I’d love to give what you made a whirl. And thanks for that link to the scant seam thing. I had seen that before but forgot about it. love it! and thank you for that tutorial link – what a lifesaver it will be for me one of these days! Very cute art quilt…need to try one of my own this year! Always good to try something new =). I visited the tutorial about the scant seam. Great idea!